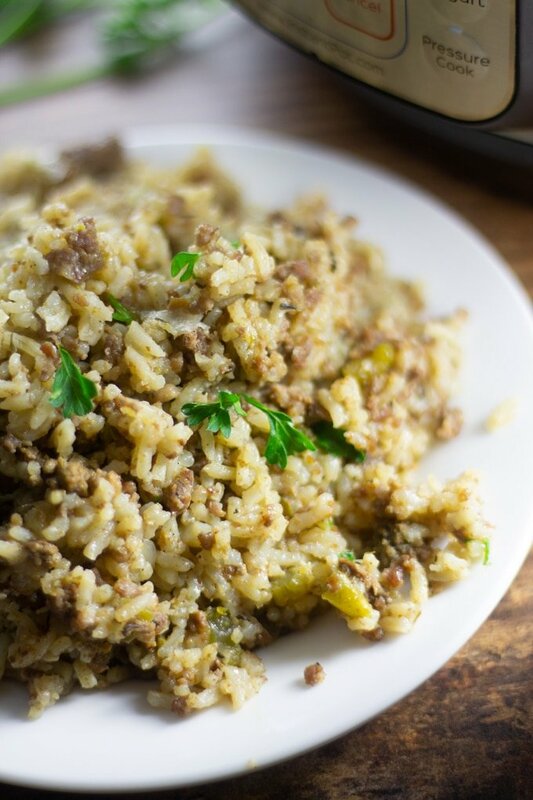 This Instant Pot Cajun Dirty Rice is a delicious Southern favorite made with Cajun flavors. Make this entire dish all in your electric Pressure Cooker with ease. I love making rice in my pressure cooker. 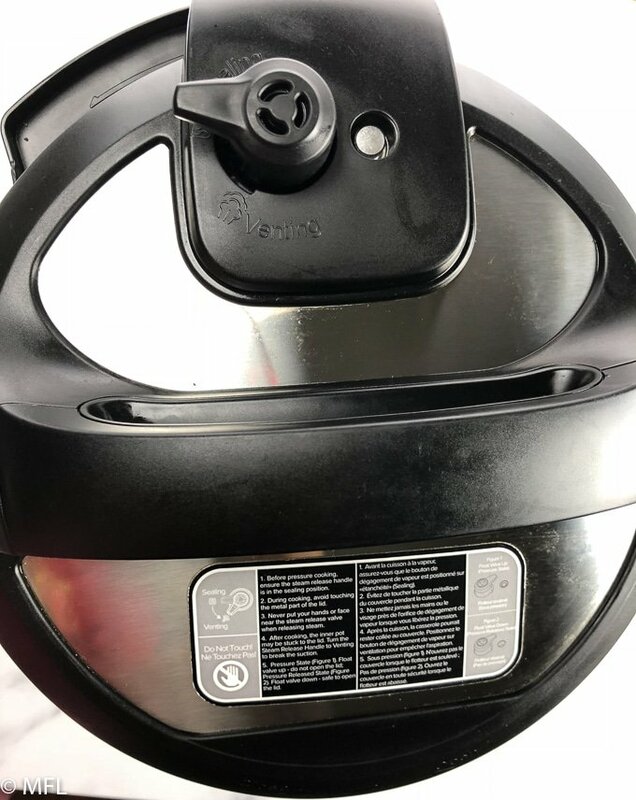 As you can see from my Instant Pot Copycat Rice-a-Roni and my Instant Pot New York Street Cart Chicken and Rice, rice in the pressure cooker is the way to go. 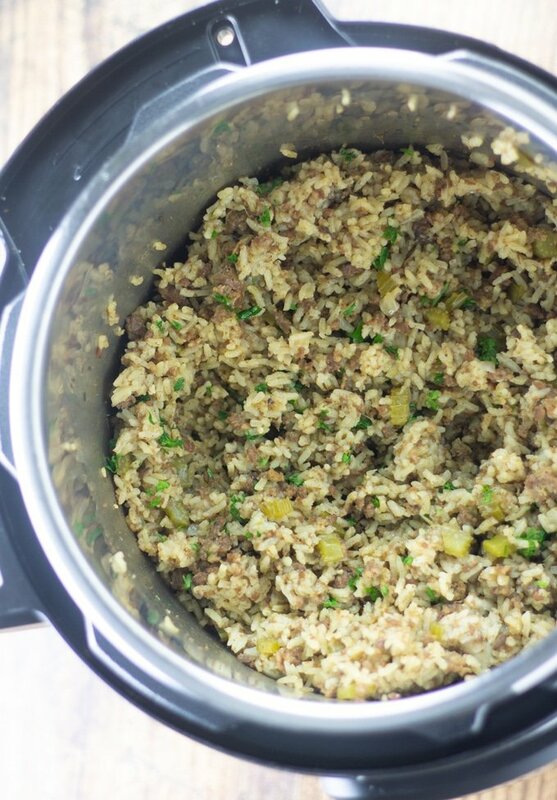 So naturally, when I was craving some delicious and spicy Cajun Dirty Rice, I grabbed my Instant Pot and got to work. What is Cajun Dirty Rice? Cajun Dirty Rice is a Creole dish that is made with white rice, meat, onion, celery, bell peppers, and Creole or Cajun seasonings. It gets its name because of the “dirty color” it gets with the addition of the meat and seasonings. What Goes in Cajun Dirty Rice? 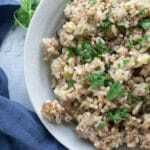 That truly will depend on who you ask…but according to my Husband, an authentic dirty rice will have pork sausage and chicken livers in the mix. The chicken liver taste isn’t too strong but it gives the dish that unique flavor. He also has informed me that my Dirty Rice recipe taste just like the Bojangles Dirty Rice recipe. Bojangles, a restaurant popular in the South, has a ton of delicious Southern staples. And they are awesome because they taught me how to make biscuits. If you don’t like chicken livers, or pork, you could always sub with ground beef or ground turkey. But for a true authentic taste, I say give chicken livers a try. Chicken livers can be found in the meat department of your grocery store. Dirty rice also starts with three vegetables that I love to use in cooking, onions, green bell pepper, and celery. First, chop your vegetables and prepare your chicken livers by cutting them up into small pieces. Fair warning, chicken livers are slimy and look like goop. They break apart quite easily though. I’ve included this picture of what chicken livers look like so you can be prepared for the ickiness. Turn your Pressure Cooker on the sauté function and add pork sausage, stirring to break it up in the pot. I use a meat chopper when browning meats that I want crumbled. Then add your chicken livers and continue to stir until all the meat has browned, about 5 minutes. 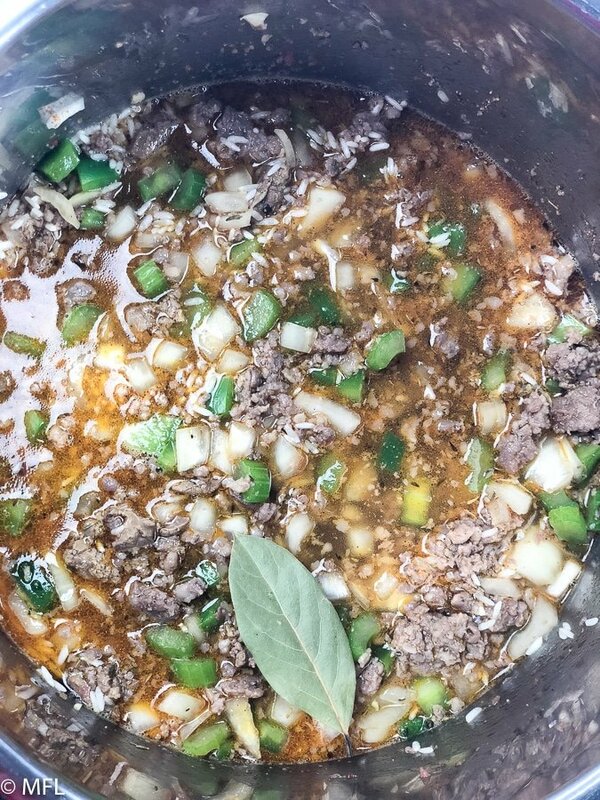 Next, add your onion, celery, green bell pepper, garlic, Creole seasoning, thyme, Worcestershire sauce, and hot sauce to the meat mixture. Stir and cook until the onions and peppers have softened a little, about 2 minutes. Add rinsed white rice, beef broth, and water to the Instant Pot. Stir with a wooden spoon, ensuring that there are no brown bits of food stuck to the bottom of the Pot. Place Bay Leaf on top of the mixture so it can be removed when the cooking cycle is done. Press Cancel on the Instant Pot. 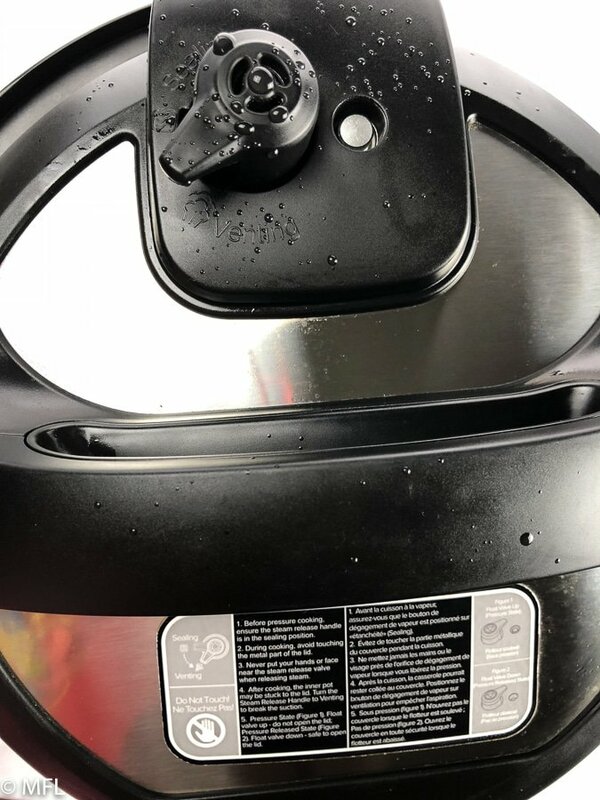 Cover with the lid, ensuring the valve is set to “Sealing” and cook on High Pressure for 6 minutes. Open your lid and fluff your rice. Add about ¼ cup of chopped fresh parsley to finish your dish. I hope you enjoy this Cajun Dirty Rice as much as we do. Until next time. 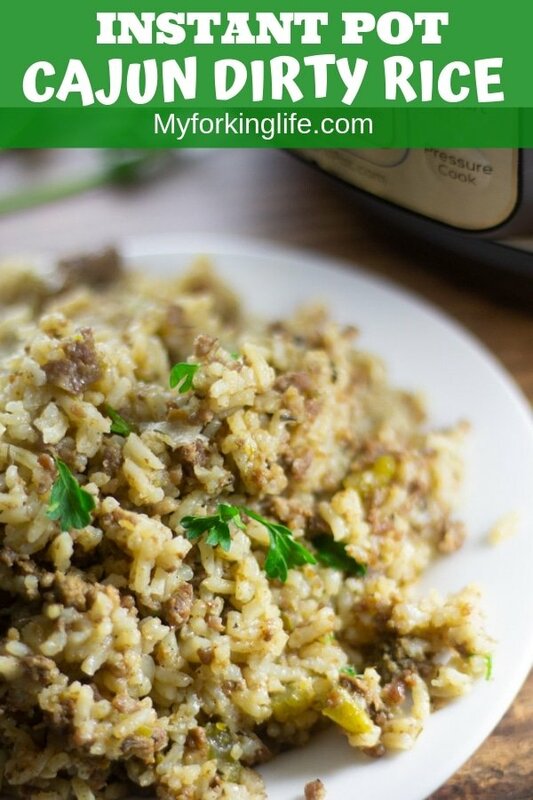 This Easy and Delicious Cajun Dirty Rice is a one pot recipe that can be made quickly in your Instant Pot or any Electric Pressure Cooker. Serve this flavorful rice as a side or main course. Select Sauté on your Instant Pot. When indicator reads “HOT”, add your pork sausage. Stir until the meat has broken up, then add your chicken livers. 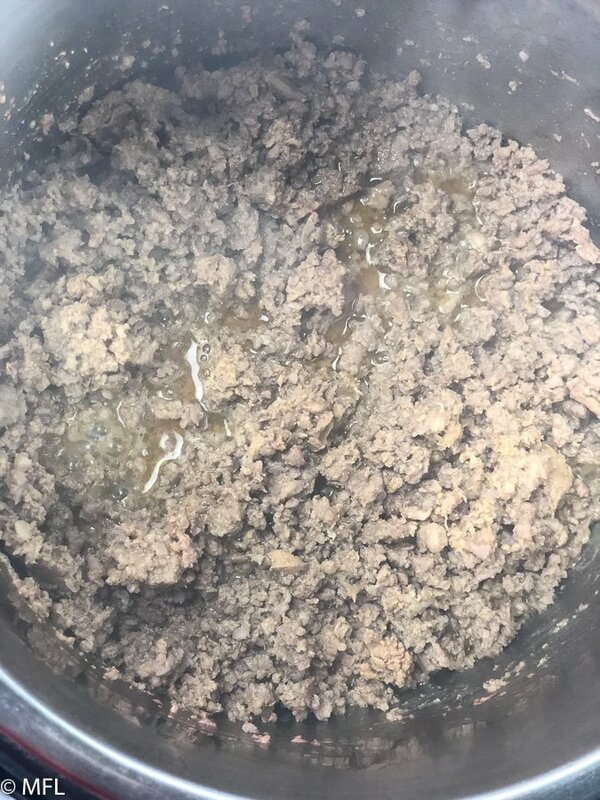 Continue cooking and stirring until all the meat has browned. Add onion, celery, green bell pepper, minced garlic, Creole seasoning, dried thyme, Worcestershire sauce, and hot sauce. Stir and cook until onions and bell peppers have softened a bit, about 2 minutes. Add rice, beef broth, and water and stir with wooden spoon, ensuring all brown bits are removed from the bottom. Place bay leaf on top of mixture. Once all pressure is released, open and remove bay leaf. Add fresh parsley to rice. Fluff with fork before serving. I like my rice more on the soft side. If you want more of a firm texture, reduce the amount of water by ¼ cup. This dish can be served as a Main Course or Side. Oh, my gosh! This looks incredibly scrumptious! I love cajun flavors and adore what you did to this rice! I can not wait to make it! I have always said I could have been a real chef because my tolerance for “ick” is so low, LOL So I’d probably sub out the chicken livers. Regardless, your finished rice looks great! I like that you made this traditional recipe for the Instant Pot. could NEVER have been. Sorry, wanted to clarify. My whole family loves this meal! 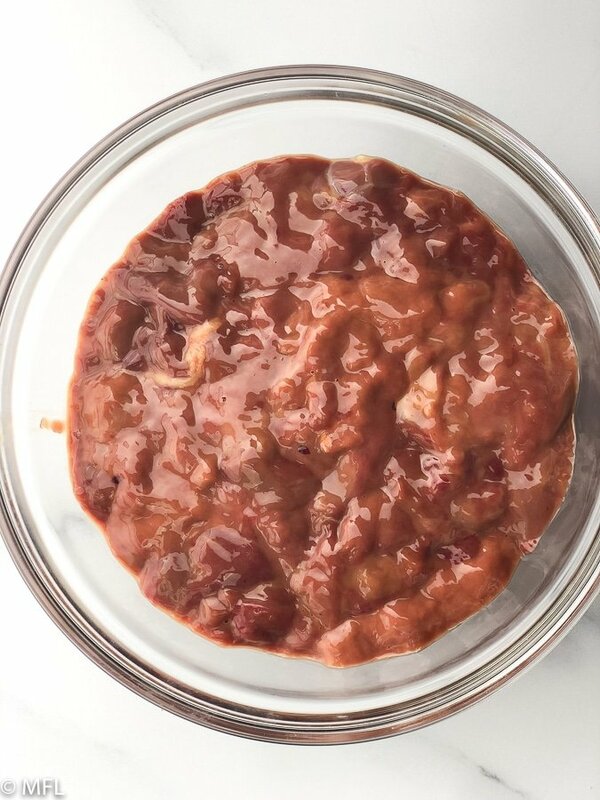 I love how easy it can be made in the instant pot too! 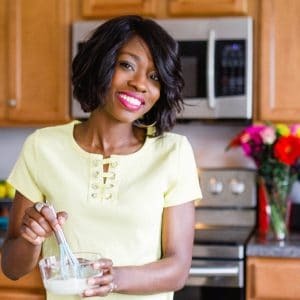 I’m always looking for new Instant Pot recipes! Can’t wait to try this one! Looks yummy. I’ll be making this soon, Thanks for the recipe.